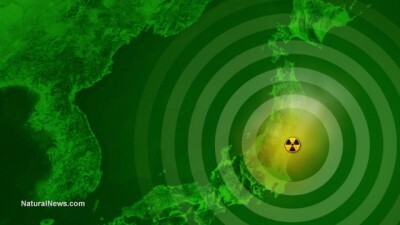 The first radioactive material from the 2011 Fukushima nuclear disaster has now been detected in the coastal waters of North America, according to a study conducted by researchers from Woods Hole Oceanographic Institution. “Radioactivity can be dangerous, and we should be carefully monitoring the oceans after what is certainly the largest accidental release of radioactive contaminants to the oceans in history,” researcher Ken Buesseler said. In March 2011, a massive earthquake and tsunami caused three separate nuclear meltdowns at Japans’ Fukushima Daiichi nuclear power plant. The explosion ejected massive amounts of radioactive material into the air, much of which ended up in the Pacific Ocean. According to Canada’s Department of Fisheries and Oceans, the Pacific Ocean typically contains cesium-137 levels of “only” about one Becquerel per cubic meter, making the levels near Ucluelet nearly six times higher. The researchers insisted that the levels detected so far are not high enough to be particularly dangerous to humans or marine life. “As an example, even if they were twice as high and I was to swim there every day for an entire year, the dose I would be exposed to is a thousand times less than a single dental X-ray,” Buesseler said.